patients with Cushing disease after a considerable latency period. avoid the risk of hypopituitarism associated with radiation therapy. adrenocorticotropic hormone; CRH, corticotropin-releasing hormone. ACTH, adrenocorticotropic hormone; CRH, corticotropin-releasing hormone. therapy, Cushing disease is frequently a challenge for the clinician. important in optimizing patient outcomes. 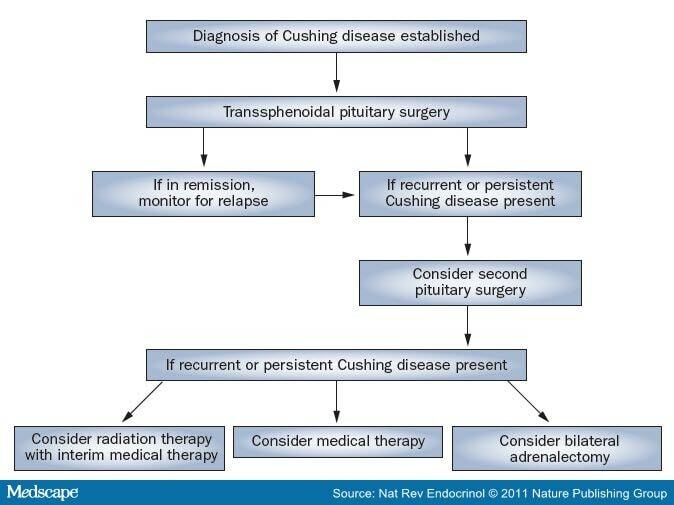 Management of Patients with Cushing Disease. can also be used to access most macroadenomas (≥1 cm greatest diameter). packing and is associated with a prolonged period for patient recovery. not necessary with an endonasal approach. approaching zero in several patient series. manifestations of Cushing disease gradually wane over several months. cortisol were proposed as a sensitive test to confirm remission. which hinders direct comparison between outcome studies. anatomy or mucosal bleeding obscure the surgeon's view). Additional data are required to compare outcomes of patients operated on using these two methods. remission, as they are at long-term risk of relapse. cortisol in the early morning predicts a low risk of recurrence. [18,33] However, a very low serum level of cortisol in the early morning does not universally predict long-lasting remission. [30 Low plasma levels of ACTH also predict low risk of relapse. surgery,[33,35] inadequate suppression of the HPA axis after administration of 1 mg dexamethasone or loperamide suppression testing, and excessive stimulation of the HPA axis on CRH, desmopressin, dexamethasone-suppressed desmopressin stimulation or metyrapone testing. suppression test are used most frequently to detect disease recurrence. peripheral plasma ACTH ratio exceeding 3:1). location of the pituitary gland tumor. time of initial pituitary surgery. biochemical response and the considerable risk of hypopituitarism. deliver radiation therapy to the pituitary gland continue to evolve. Sweden][48,49] or linear accelerator[50,51] delivering photons and cyclotron delivering protons[52,53]). considerably reduce radiation exposure to the normal brain tissue. direct comparison between outcome studies. Knife® therapy are associated with improved patient outcomes. patients still need to be informed of the possible risks involved. for the treatment of patients with Cushing disease. Medical therapy is generally not considered as a first-line treatment for patients with Cushing disease. inhibitors, achieving even higher efficacy. mineralocorticoid-related adverse effects in patients of both sexes. this drug in pregnant women. [67,68] In the USA, metyrapone can only be obtained through the manufacturer on an individual patient-by-patient basis. of action compared to other steroidogenesis inhibitors. Use of mitotane is further limited by dose-related gastrointestinal and neurologic adverse effects. pregnancy within 5 years from discontinuation of the treatment. reasons. Trilostane is a weak steroidogenesis inhibitor with limited efficacy and poor tolerance, which has restricted its use. Cabergoline is a dopamine agonist that is approved by the FDA as a therapy for hyperprolactinemia. as a potential therapy in patients with this condition. In a study published in 2009, a response to treatment with cabergoline was present in 15 of 20 patients. response in four of the patients. However, only nine of the patients had a sustained response to cabergoline after a mean period of ~3 years. including SSRs 1, 2, 3 and 5.
agent in patients with this condition. 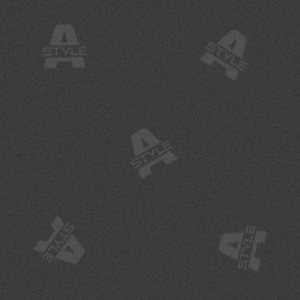 agent becomes available for this purpose. Adverse effects of mifepristone include hypokalemia, hypertension, endometrial hyperplasia and fetal loss. interventions, including radiation and medical therapy. and shortcomings of this procedure. adrenal crisis. 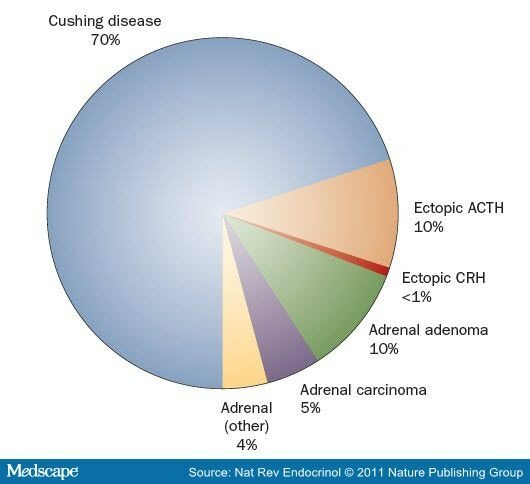 In addition, patients with Cushing disease are at risk of Nelson syndrome after bilateral adrenalectomy. bilateral adrenalectomy might be at reduced risk for Nelson syndrome. under ACTH stimulation, leading to recurrence of hypercortisolism.